Work Experience Snapshot: Grand Designs | One year, one job. Before you ask… No, I did not get to meet Kevin McCloud. I found myself with a week’s editorial work experience at Grand Designs Magazine’s offices in Epping after sending out enquiring emails to lots of magazine companies. I didn’t get a reply from Grand Designs for nearly three months, then out of the blue I got an email asking if I still had availability and I completed my work experience there within that month. Once again, I was seventeen and was completing the work experience during my school holidays (a six week period where I started three different work experience placements!) so I only could stay for five days. 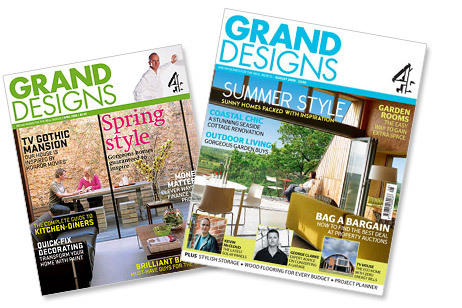 I don’t know the situation now, but at the time Grand Designs magazine was primarily written by a team of four or five in house writers with freelancers filling the rest of the pages. This meant that the work I did really seemed to help out and a lot of my research made it to print. Whilst I didn’t get to do too much writing (although I remember writing short biographies for a few architects), I learnt a lot about calling in images which then got published and got to do a lot of research about crazily designed houses for the ‘Mad House’ page of the magazine which involved a lot of obscure Google searching. It was a great chance to experience how such a small, friendly team can work together to produce a monthly magazine and I also learnt a lot about deadlines and how the pages are planned.